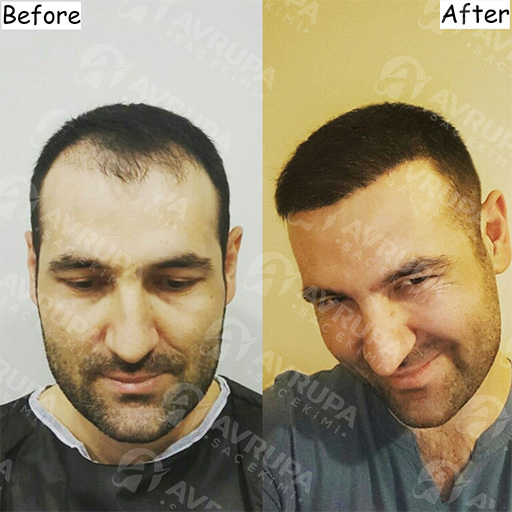 How is hair transplant surgery performed at Avrupa Sac Ekimi Center? ➢ What are the steps of hair transplant operation? 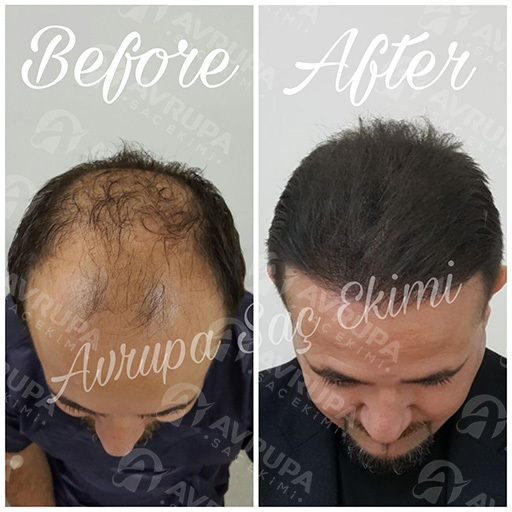 Avrupa Sac Ekimi is considered the oldest hair transplant center in Turkey that specializes in hair transplant surgeries at low and affordable costs. It has performed, as of 2017, not less than 17000 successful hair restoration operations under the supervision of the hair transplant specialist Mehmet Güçlü who is an expert in dealing with all types of cases using the best and most advanced hair transplant techniques. 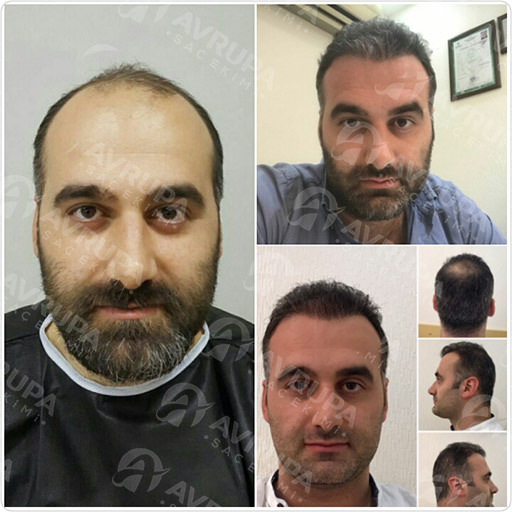 This makes Avrupa Saç Ekimi outperform most other hair transplant centers in Turkey. Because we only specialize in hair transplant surgeries, we have developed an advanced hair transplant technique which is used exclusively at the center. Avrupa Saç Ekimi has also recently received various awards for excellence and high quality services. We have pledged to deliver the best medical service to our patients, bearing the highest standards of professionalism, integrity and honesty in what we do. Experience: simply because we are the oldest center in the field of hair transplant in Istanbul and Turkey. Same Medical Team: the clinic’s medical staff has not been changed since its establishment; unlike the rest of the centers which bring new staff depending on demand. 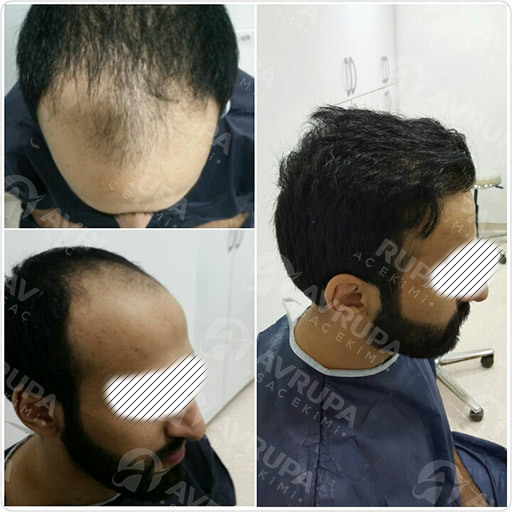 Real Experiences: The center owns the largest number of previous patients’ experiences and reports of successful and amazing hair transplant in Turkey which reviews its high quality. High Morals: We provide professional and non-commercial services. Technology: Avrupa Sac Ekimi has the most advanced FUE technique. Trust: We challenge any other center to provide the same results and level of satisfaction as we do. Guarantee: We guarantee the growth of your transplanted hair to be natural and lasting for a lifetime. The suffering of men with the problem of baldness begins at early ages. Most people eventually resort to male hair transplantation, as it is the only permanent and scientifically proven method for treating baldness. The procedure is performed by extracting follicles from the back of the scalp that serves as the ‘Donor Area’ and transplanting it in the thinning or balding areas known as the ‘Recipient Area’. The procedure of female hair transplant aims to transfer the hair follicles by extracting it from the back of the head (Donor Area) to the thinning areas. It is performed under local anaesthesia using the MicroFUE technique which is a non-invasive procedure. The transplanted hair in the recipient areas will provide women with a natural and aesthetically pleasing appearance. Lately, we have observed an increasing demand for the operation of eyebrow transplant in Turkey. People who suffer from thin eyebrows or scars and even those who have completely lost their eyebrows due to trauma, medical treatment or over plucking, are now able to restore their eyebrows by having an eyebrow transplant operation at one of the best hair transplant clinics in Turkey. To perform this procedure, follicles are extracted from the donor area in the back of the scalp and transplanted to the eyebrows. Facial hair transplantation is a procedure which restores hair for men with thin or no beard at all. This procedure is typically performed on the beard and moustache, but it can also be applied to the sideburns as well. The popularity of facial hair transplant is growing gradually, and more and more people are showing considerable interest in transplanting their beard in Turkey to get a look they desire for. The decision of the technique that will be used for transplantation is not the patient’s decision, but it is actually according to the patient’s own condition; therefore, the doctor decides the suitable technique that will guarantee the best outcomes for his case. Since the errors that can be encountered in hair transplantation – if performed by unskilled doctors – are difficult to be avoided because of consuming the hair in the donor area in each surgery. It is therefore of utmost importance to use the most appropriate technique for each case. In this method, up to 3,500 follicles (at least 10,000 hairs) are extracted and transplanted within 4-6 hours under local anesthesia. 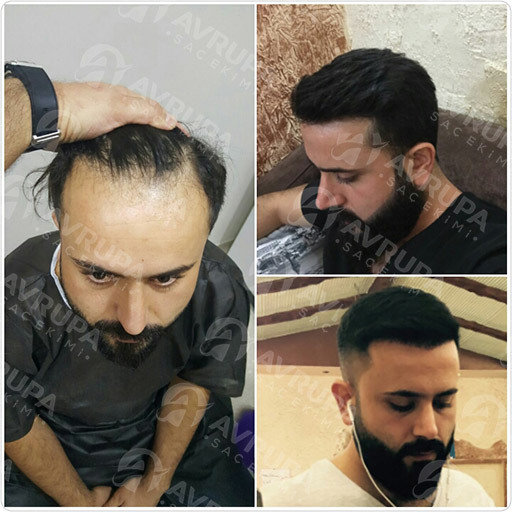 MicroFUE hair transplant in Turkey is commonly used in beard, mustache and sideburn transplantation where it is necessary to use thin, single haired follicles. A method exclusively developed at Avrupa Sac Ekimi Center. It is characterized by an amazing density per square centimeter, natural angles for the transplanted hair, and canals matching the size of the follicles to ensure complete wound healing with rapid and total growth of transplanted follicles. The process is considered to be sensitive, accurate and the most difficult, where approximately 5500 follicles are transplanted in one session (more than 15,000 hairs). The center is distinguished with this technique with more than 7,000 successful MEGA-FUE cases. This technique is applied to limited and appropriate conditions after direct examination of the scalp and the medical condition of the patients and their age. The advanced Micro-FUE is the latest technique today in the field of hair transplantation and treatment of baldness. It has proved to be highly efficient in terms of positive results and the level of patients’ satisfaction with their impressive results. Planning Phase: The procedures begins with the planning stage, which includes the examination of the target area for hair transplantation in terms of the number of follicles to be transplanted, and also the type of these follicles (single, double or triple hair). In addition, one of the most important things is hairline design, which determines the aesthetic look of the operation. The patient’s desire for hair density is also determined, and the follicles transplanted in the frontal area are single follicle type, which are distributed evenly to ensure the best result and natural appearance. Local Anaesthesia: At this stage local anaesthesia is applied which lasts for 12 up to 14 hours. To prepare the skin to receive the local anaesthesia, a sedation spray is used beforehand to appease the pain . Follicle Extraction: one of the important hair transplantation steps is extracting hair follicles from the donor area which must be performed carefully by highly experienced medical team. Follicle Sorting: The extracted follicles are arranged and sorted into groups and kept in a special liquid to protect them until the transplantation stage. Canal Opening: This step is the most important and reflects the experience and skills of the doctor performing the surgery. The canals are opened with accurate angles which provides a natural look just like normal hair. Follicle Transplantation: using special and accurate surgical tools, the extracted follicles are transplanted in the canals opened in the previous step. ‘’These are the hair transplant steps – and to ensure favourable results – it must be done by a specialized and highly skilled medical team’’. Depending on the number of follicles to be transplanted, the procedure usually lasts 5-8 hours starting by the stage of extracting the follicles – in which the patient is usually lying on his or her stomach – and ends by transplanting the follicles where the patient lies on his/her back. During this time, beaks are given to relax and have a small snack. People usually prefer to watch TV or enjoy music and use their phones during the surgery. 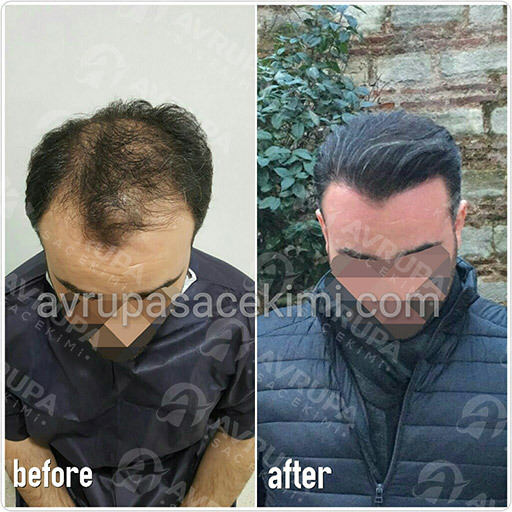 Avrupa Sac Ekimi Center in Istanbul has performed thousands of successful and unique hair transplant operations and has a strong base of before and after cases. With Avrupa Sac Ekimi Clinic, we make your dreams and ambitions a reality and an unforgettable experience.